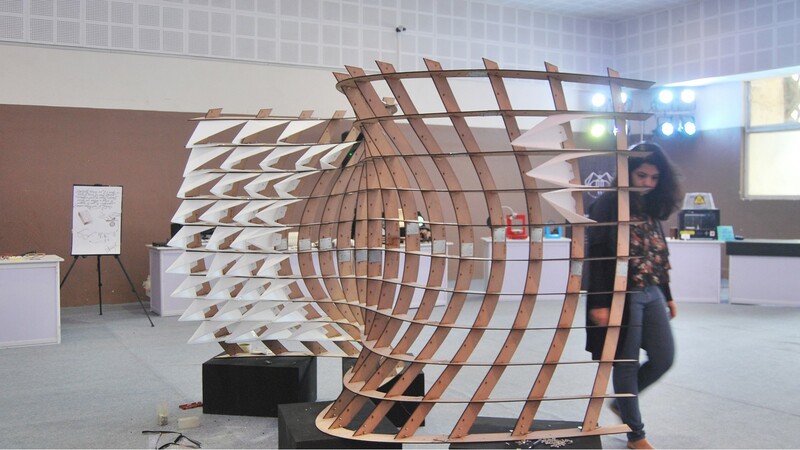 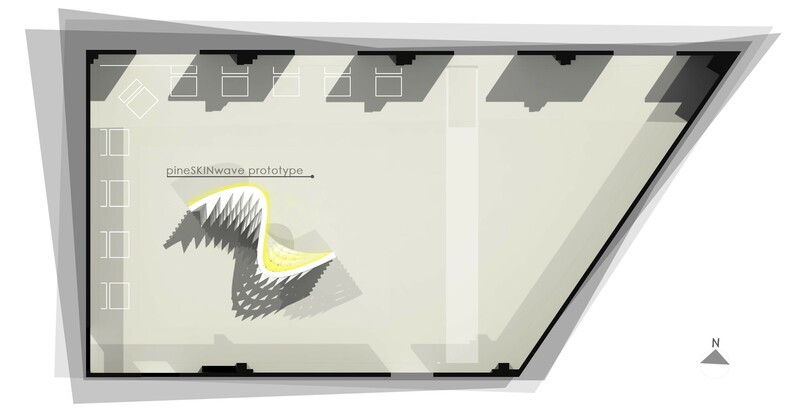 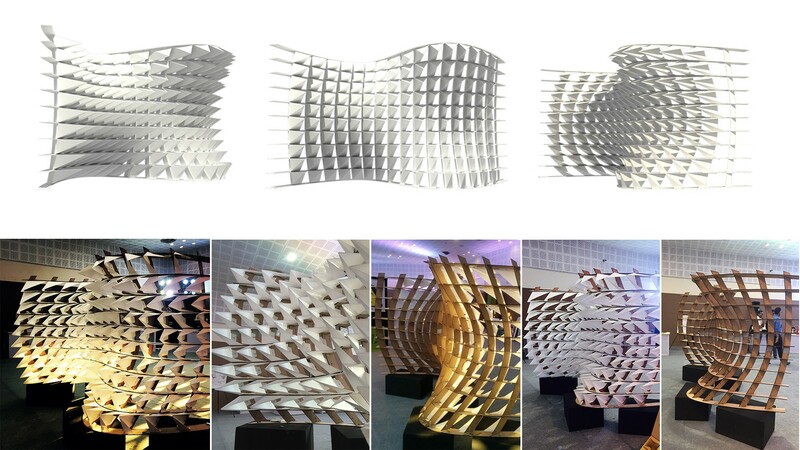 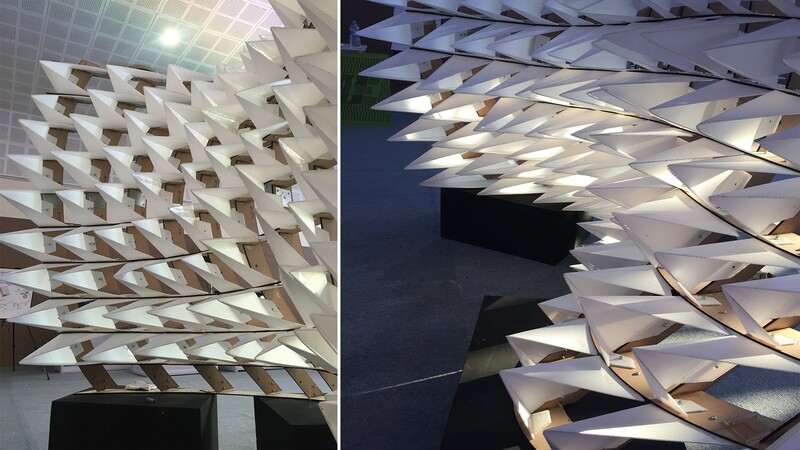 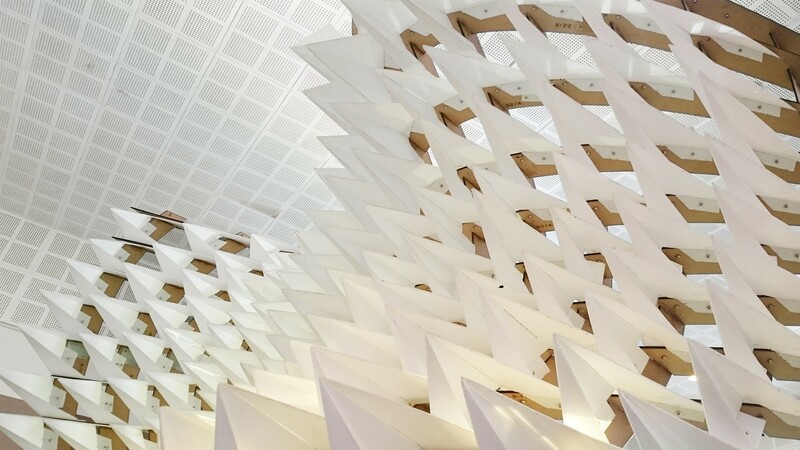 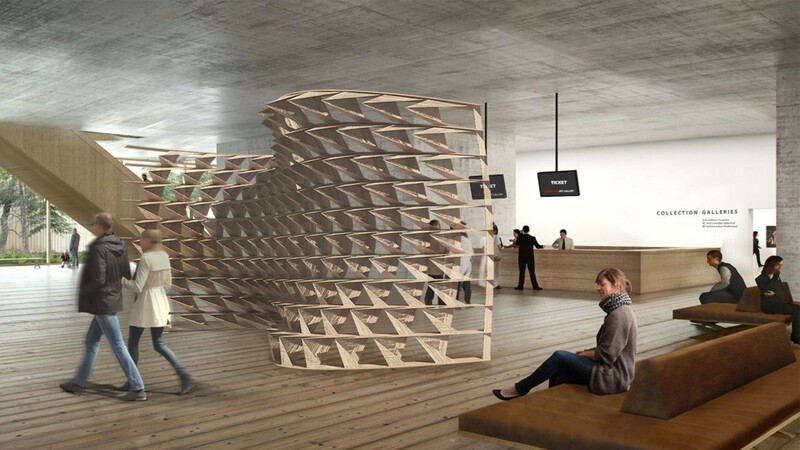 The pineSKIN wave installation is part of an explorative process which has seen different applications of a sine wave in various design processes as well as its structural capabilities. 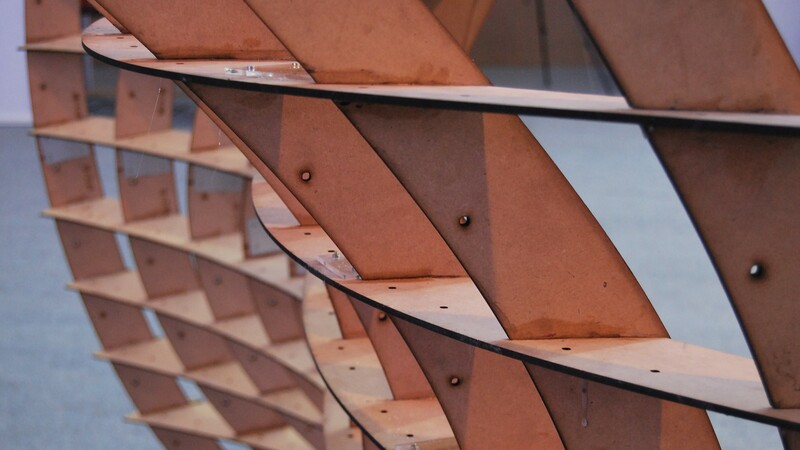 Being architects, at Studio Emergence we are almost always obsessed with the connection between design and structure; Is one devoid of the other or does solving one aspect automatically solve the other is the question we try to address with each of our installations and explorations. 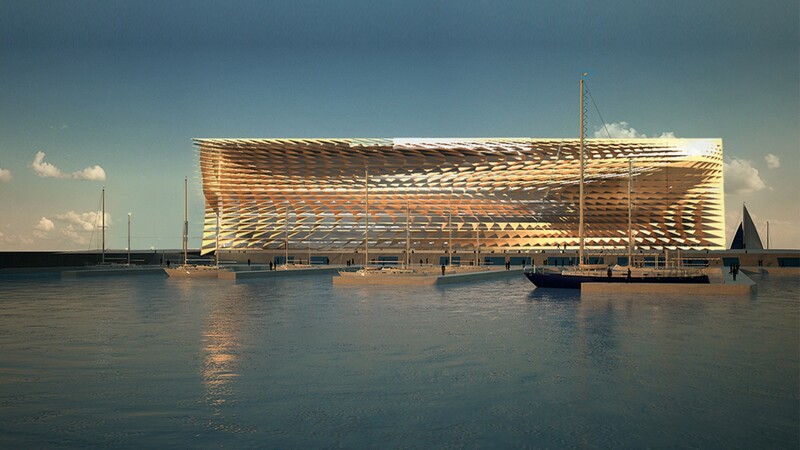 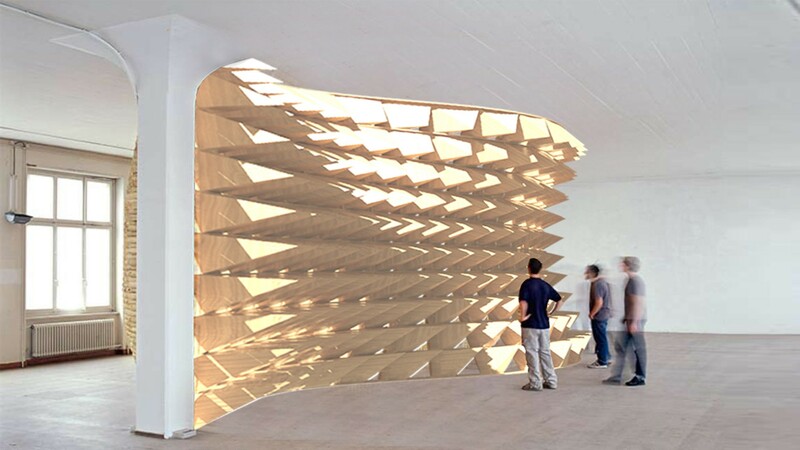 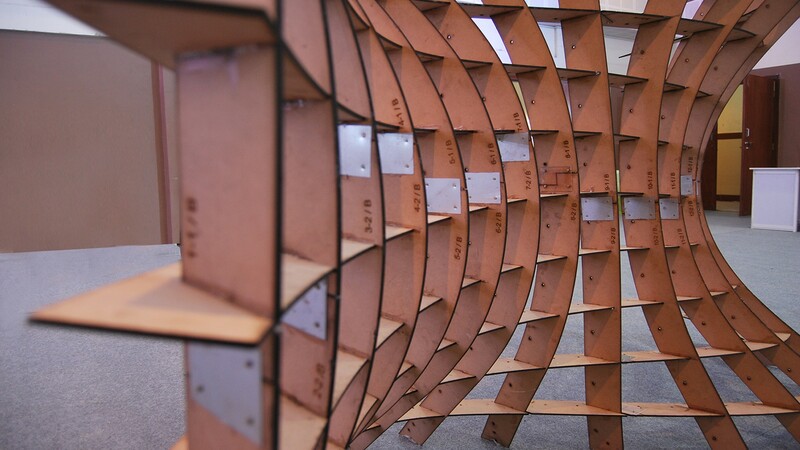 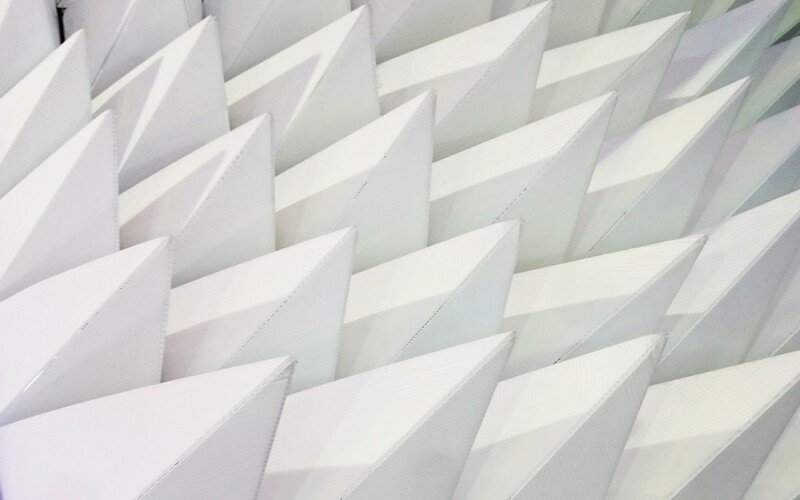 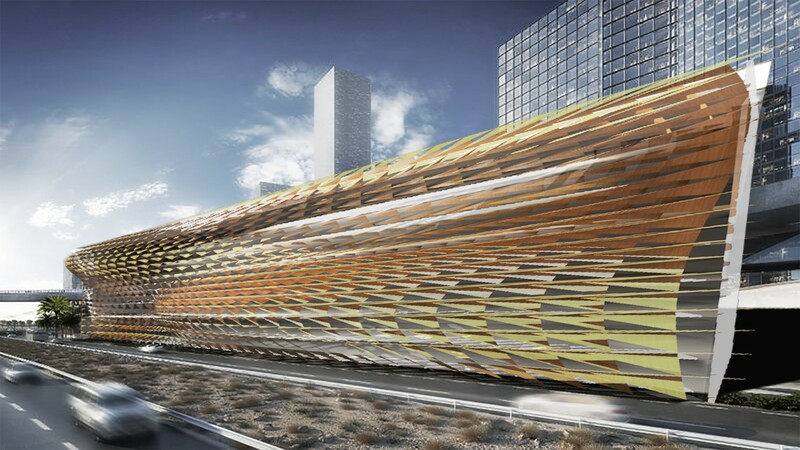 This particular installation sees the juxtaposition of various wavelengths of sine waves to form a facade which with the right material can be self-standing and balance its own weight. 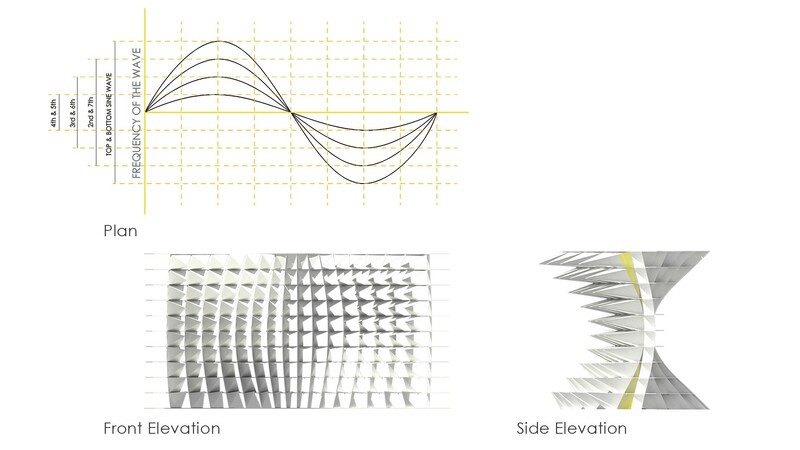 To further emphasize the theme of the exhibition pyramids of varying sizes have been designed to rest on the facade which had different openings which converges at points to form waves on the surface.